Sgt. 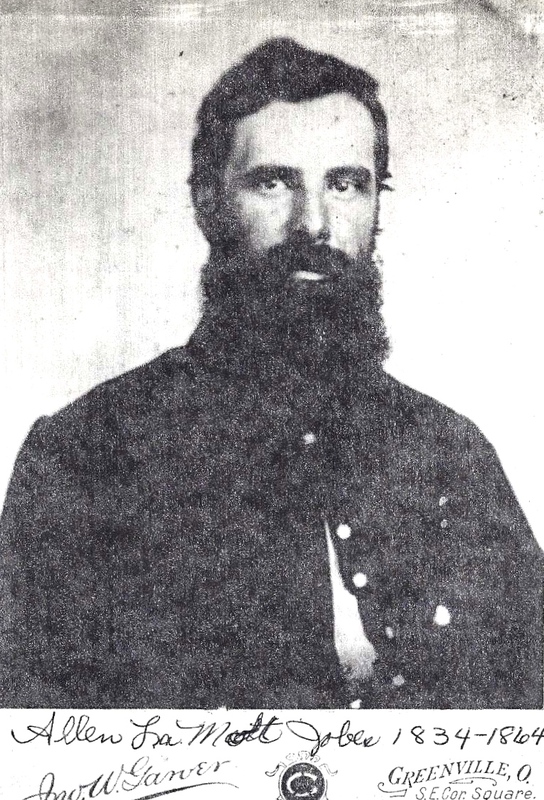 Allen LaMott Jobes (1834-1864) served in Co. D, 69th Ohio — one of the 2 companies from Darke County. The 14th and 20th Army Corps comprised the Army of Georgia. The 14th was composed of 13 regiments of “western troops” — 1 from Pennsylvania, 1 from Illinois, 1 from Missouri, 2 from Michigan, 3 from Indiana, and 5 from Ohio. In the letter, the author contrasts the size of the U. S. Capitol Building to the Greenville County Court House. Supposing that the Greenville Court House is a building familiar to the author’s mother, I assume the author was from Greenville in one of the aforementioned states. Unfortunately, all six states have a town named Greenville but I think only two of them are county seats — Greenville, Wayne County, Missouri and Greenville, Darke County, Ohio. While investigating the regiments that were served from Darke County, I discovered that companies D and E of the 69th Ohio — one of the Ohio Regiments in First Division, 14th Army Corps — were composed of men from Darke County. Of these two regiments, there were nine soldiers named William who were still serving with the 69th Ohio when they made the march to Washington and participated in the Grand Review. The content of the letter suggests that the author had a brother named James and he does not mention his father which may indicate that his father had died previous to this letter. Though only a supposition on my part, the content also suggests to me that the author was relatively young. As such, my hunch is that the letter was written by William White Duden (1846-1914), the son of William M. Duden (1807-Bef1860) and Achsah Cherry (1812-1883). William enlisted in Co. E of the 69th Ohio Infantry in February 1864 and mustered out with the regiment in July 1865. His family history states that he was only 16 when he enlisted in 1864 and that he participated with the 69th Ohio throughout the Atlanta Campaign and Sherman’s March to the Sea. I cannot find any evidence that he resided in Greenville but he is listed among those serving from Darke County. This Pvt. William Duden had an older brother named James and his mother appeared to be a widow by 1860. As I have a few minutes to spare, I will try to answer your long neglected letter which I received the 28th of last April. I received it the morning that we started for Washington and I have not had time to answer it since. The mail went out a couple of times while we were at Richmond but I was so tired and sore that I concluded to wait till we would get here and then answer it. We have done some very hard marching since we left the Cape Fear River. We left there the morning of the 28th and got here yesterday noon. It is three hundred and eighty miles the way we came. 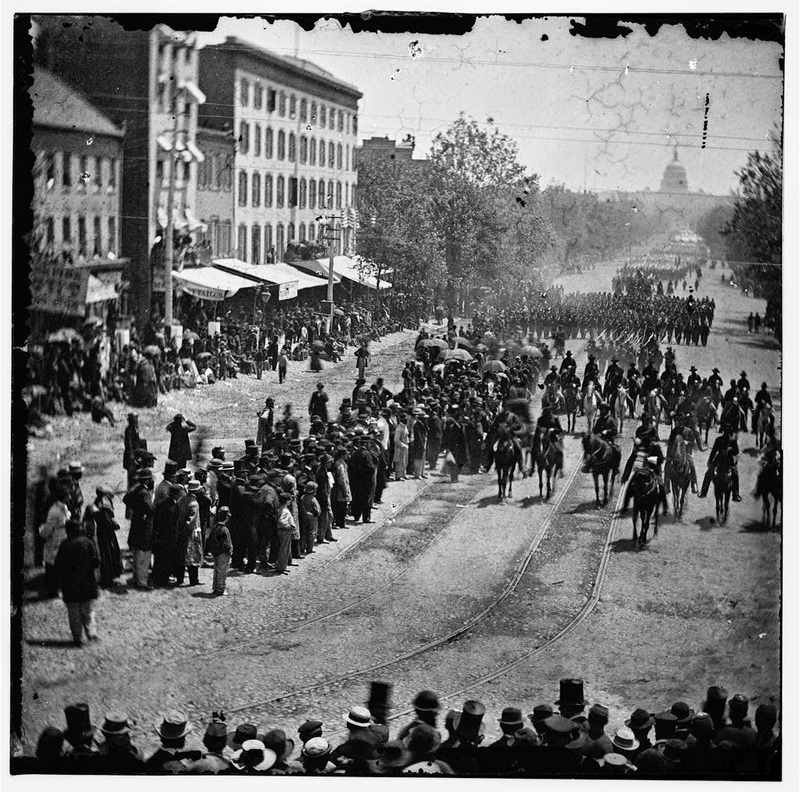 Our Division ([Brig.-] General [C. C.] Wolcott, commanding) done the greatest marching between Mooresville and Richmond that has ever been done. It is one hundred and ninety miles. We marched it in six days — over thirty-one miles a day. I came through without giving out. 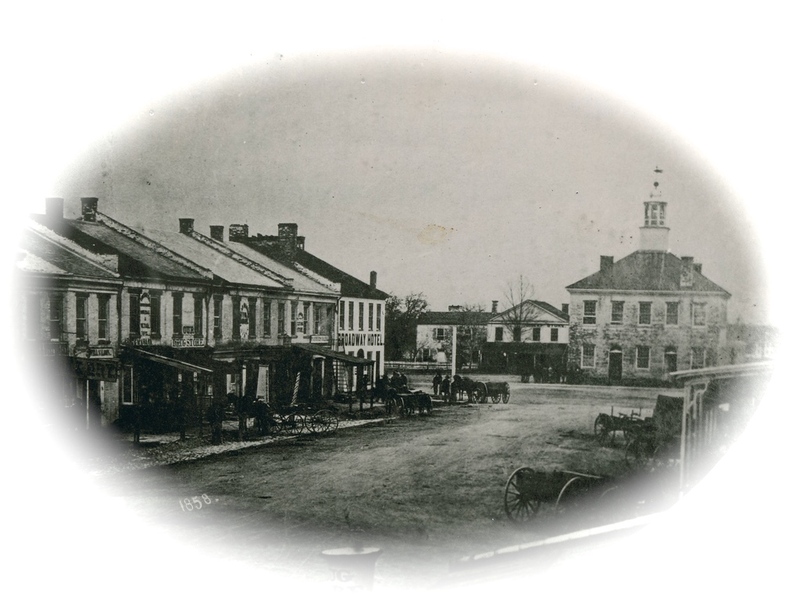 Our Corps was the first in Richmond and the first here. I have not been to the City yet but we can see the Capitol very plainly from our camp. It looks like it is about ten times as large as the Greenville Courthouse. There are about two hundred thousand “Yanks” camped near Washington. Grand Review in Washington D. C.
The Army is to be reviewed on next Tuesday [23rd] and Wednesday [24th]. Oh, how I wish you could be here to see it. It will be one of the grandest sights that was ever seen on this continent. All of the great Generals in the United States will be here. Our army will be reviewed on Wednesday [24th] and the Potomac Army on Tuesday. I hear they are making great preparations in the City to receive us. All of the Schools in the City are to be out to receive us. I think we will be home in about three weeks. I think I will try to enjoy myself for awhile after I get home. I received the paper and envelopes you sent me and the photos came through all right. I think they are very good pictures. I will keep both of yours till I get home. I am glad to hear that James is home. Tell him I will not write to him this time. We will try to have a good time when I get home. I got a letter from Susie yesterday. They are well. P. S. My love to everybody.